These were the words Dr. Debra Mesch said to me to improve the quality of my work in the Gender and Philanthropy online graduate level course. Strong, but I have always accepted the challenge of teachers and instructors that take me into uncomfortable spaces. The course, led by Dr. Mesch and Andrea Pactor, continues to resonate with me in my work. One course reading in particular, Birds of a Feather: Homophily in Social Networks (McPherson, 2001), has pushed me in my current work to seek greater understanding of the views of people who are different from me. This is the opportunity I see for us now, to work with others from diverse backgrounds. Homophily is the tendency for individuals to connect to and network with people who are similar to them. We learned in the course that giving circles are an example of homophily in action. Individual giving circles generally include members of a certain race, gender, age, religion, or ethnicity. Being one to live what she said, my mother challenged herself to have regular conversations with a co-worker known as a staunch conservative who carried strong opinions about politics, race, and the role of women. In the summer of 2017, I was asked to lead a strategic planning session for a partnership in a city in South Carolina. The city’s population is equally split between whites and African-Americans. Not lost on me, standing in the front of this room of educators and local partners numbering more than 40 people, only four African-Americans in the community were selected to take part in the planning. Later in my small breakout session, two African-American women representing a local private foundation were stunned that the presidents of the local United Way and community foundation were unaware of the efforts of individuals and organizations in the African-American community. The dynamics of the deep south make an easy scapegoat for this lack of awareness, but it’s also homophily. The Gender and Philanthropy course has allowed me to name, call out, and consider how to address this issue. I appreciated that philanthropic professionals that lead the two largest funding institutions for this city came together with two women from the private foundation and accepted the challenge to draft a diverse list of the people and organizations to study and potentially fund. At the Indiana University Lilly Family School of Philanthropy, our definition of philanthropy is, with respect to Robert Payton, voluntary action for the public good. In a period when our society is divided on issues, as philanthropic students and professionals our choice of work can place us on one side of any issue … for full public view. Remember philanthropy comes from philanthropos “love of mankind;” as heated as discussions have become in recent years, philanthropic professionals work from love and ultimately for the inclusion of all. That opinionated coworker my mother became friends with was one of the first people to call me after my mother passed away. His entire family put their arms around me to help me grieve and I found myself taking my mother’s place in their conversations. Conversations held with respect, understanding, and civility. 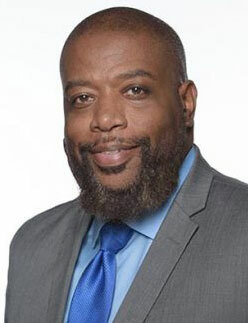 Robert Harris is senior manager of network engagement at Strive Together, a national nonprofit of more than 70 communities that support the success of every child, cradle to career. Robert received an M.A. in Philanthropic Studies from the IU Lilly Family School of Philanthropy in 2016. I like this, Rob. Very powerful and thought provoking. Thank you for sharing! I appreciate your writing skill, it seems you are well known about the topic and your explanation to the topic is very self explanatory. I really appreciate your skill of blogging.I have shared your article to my FB Group.